[Rumor] Dell Streak 7 to be Launched on January 19. A rumor has surfaced that Dell’s Upcoming Second Streak Tablet “The Dell Streak 7” will be launching on January 19. 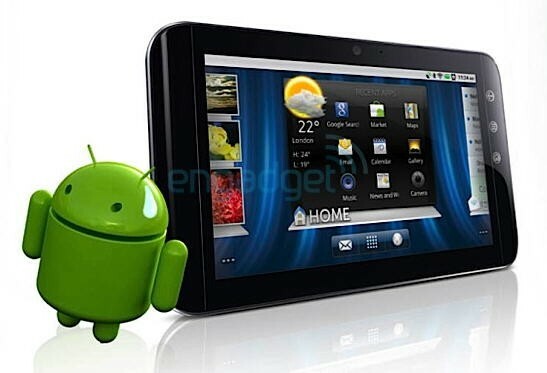 The tablet which was recently leaked on the net will feature a 7-inch touchscreen and runs on Android 2.2. It was already announced by Dell Greater China President, Amit Midha that a 7-inch tablet to arrive in weeks and 10-inch tablet in next 6-12 months. The tablet will include a 7-inch Glass touchscreen display, features a front-facing camera, GPS, WiFi. Also reports say that Dell might be using a dual-core Nvidia Tegra 2 chip for the Streak 7 tablet which holds enough graphical horsepower for computing needs and to watch 1080P videos. From the specs it looks like it will compete against the Samsung Galaxy Tab. Release date is expected around Mid-Jan.